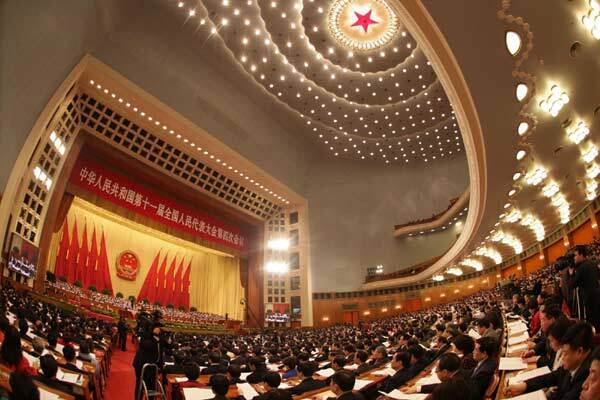 This week the National People’s Congress commences in Beijing. And if you’re attending as an official representative of Hong Kong you are advised to share your PERSONAL opinions. Any CRITICISM about Hong Kong should be PERSONAL and not OFFICIAL. Got it? In December 2012, the government recommended that a portion of the land that formerly held a vocational education school next to Baptist University in Kowloon Tong be used to build housing. In January, the Town Planning Board approved the proposal and, in mid-February, began a two-month consultation. However, after just two weeks, the Development Bureau announced that it would sell the land next year. As Baptist University was planning build a private Chinese medicine hospital on the site, the university has strongly criticized the government for undermining the needs of higher education. Yesterday, the Education Bureau rebutted the criticism of Baptist University in an 11-point statement. The points included the government’s views that the land had never been a part of Baptist University and that it was acceptable for the government to not approve a plan to build a private medical institution using public land. Yesterday, the Global Times published an article that criticized Hong Kong’s new export restrictions on baby formula as excessive and that questioned the prescribed penalty of two-years’ imprisonment as being harsh. However, Hua Jian, Deputy Director the State Council’s Hong Kong and Macau Affairs Office, denied that there is a disagreement between Hong Kong and the mainland, while the head of China’s State Administration for Industry and Commerce said that the restriction should be supported. Additionally, Chen Zhu, China’s Health Minister said that Hong Kong and the mainland are part of one family and that family problems are often hard to resolve. Prior to heading to Beijing to take part in the National People’s Congress (NPC), Zhang Xiaoming, Director of Beijing’s liaison office in Hong Kong, called on Hong Kong’s delegates to the NPC to only express criticism of Hong Kong affairs in a personal capacity. A pro-government faction insider has suggested that Zhang specifically had NPC Standing Committee member Rita Fan, who has been critical of Chief Executive Leung Chun-ying, in mind. According to the insider, Zhang does not want people to believe that Fan is expressing Beijing’s view. Fan has said that she does not plan to change her behavior. However, she has agreed to express her opinions in a personal capacity in the future.